Non-residential events spread over two days. Our workshops include 5-7 classes with the products you receive having a retail value of around £140, making GoGo Dayaway events superb value. GoGo Dayaways are technique and product-based, and suitable for all levels of crafting experience. Drinks, cakes and biscuits are included with delegates bringing along their own food for meals. Local accommodation suggestions will be available if traveling home isn't an option. 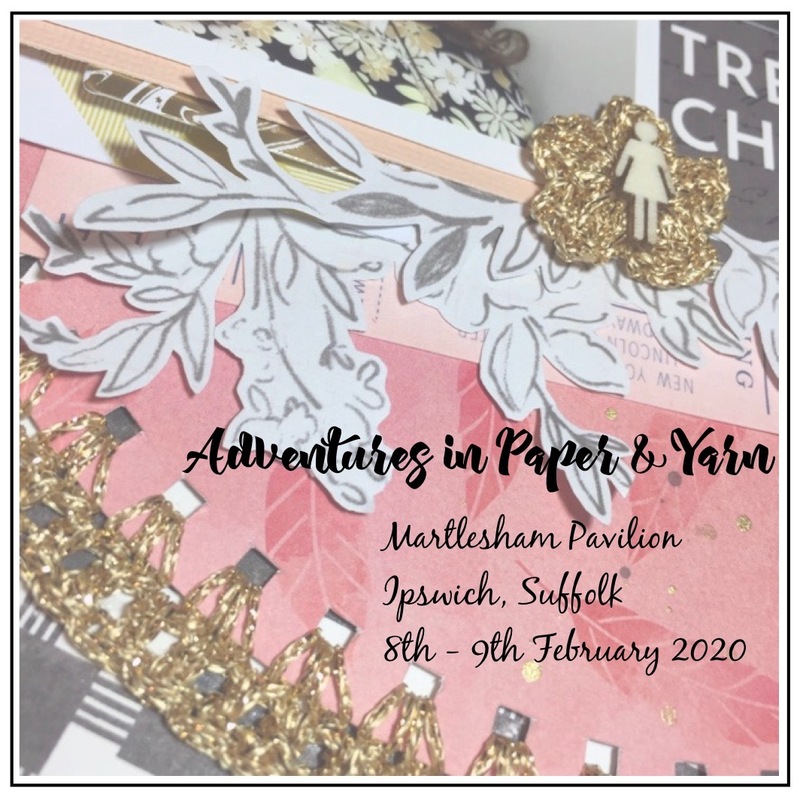 We are excited to announce our latest GoGo Dayaway event in Ipswich, Suffolk 'Adventures in Paper & Yarn'. The fabulous texture of yarn meets the beautiful patterns of pretty papers in this event that is truly stroke-able. Over two days you will have the opportunity to take part in eight inspirational classes and create eight layouts. 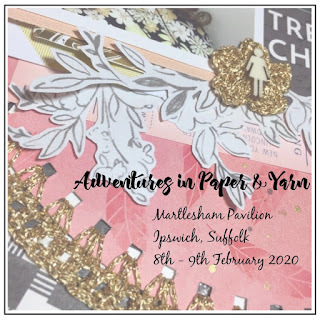 'Adventures in Paper & Yarn' is suitable for all abilities and our teachers will guide you through each class where you will take away a creation to be proud of! Your kit and products for the weekend will be worth in excess of £140 making this event super value at just £150. The weekend is technique and product-based, and is suitable for all levels of crafting experience, with plenty of tips and techniques to learn. The cost of the weekend is £150. Please note that accommodation and food are not included. There are a number of hotels in the local area and delegates are encouraged to bring packed lunches. There is a small fridge and microwave on site if you wish to use these. Your Booking is only considered a booking upon receipt of your deposit and completed Booking Form. Refunds may be available at our discretion, which is also subject to your space being filled or resold. An administration fee of £50 will be levied on all cancelled bookings. Any bookings cancelled less than 16 weeks before the event that cannot be resold: no refund will be available, however class kits, information and online tutor support will be posted/offered to you after the event. GoGoGetaway Limited reserves the right to amend class details, schedules and/or tutors if necessary due to any issues out of our control. The ‘Adventures in Paper & Yarn’ advertisement image does not represent any actual products that will be used or layouts/classes taught. Should the need arise for the event to be cancelled due to not selling the required number of spaces, then all monies received for bookings will be refunded by the same means as which they were received. Returning this Booking Form and attending the event constitutes the granting of your permission to use any photograph, video, or other digital media featuring yourself in any publication, including web-based publications, without payment or other consideration. 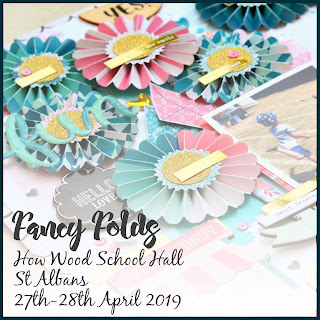 We are excited to announce our latest GoGo Dayaway event in St Albans 'Fancy Folds'. Hold your creases as you bend, pleat, ruffle, crimp and tuck your way to intricate designs. Over two days you will have the opportunity to take part in six classes and make one mini book and at least five single layouts. 'Fancy Folds' is suitable for all abilities and our teachers will guide you through these fabulous folds and simple techniques that will really make your layouts stand out! Your kit and products for the weekend will be worth in excess of £140 making this event super value at just £150. The weekend is technique and product-based, and is suitable for all levels of crafting experience, with plenty of tips and techniques to learn. Please note that accommodation and food are not included. There are a number of hotels in the local area and delegates are encouraged to bring packed lunches. A takeaway order will be arranged for the Saturday evening meal. The ‘Fancy Folds’ advertisement image does not represent any actual products that will be used or layouts/classes taught. Should the need arise for the event to be cancelled then all monies received for bookings will be refunded by the same means as which they were received. GoGo Getaway Ltd is a company registered in England and Wales with company number 06371760. © GoGo Getaway Ltd (2016). Powered by Blogger.